Many of our internal applications were developed using the Extjs framework. 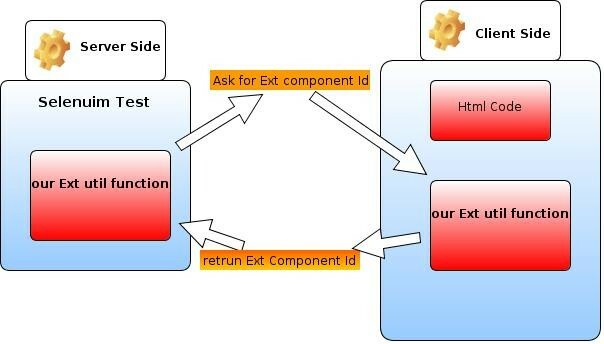 It is very difficult to write an automated test to Ext application with selenium because Ext generates many <div> and <span> tags with an automatically-generated ID (something like “ext-comp-11xx”). Accessing these tags through Selenium is the big challenge we are trying to solve. We wanted to find a way to get these automatically-generated IDs automatically. Ext has a component manager, where all of the developers’ components are being saved. We can “ask” the component manager for the component ID by sending it a descriptor of the component. To simplify – we (the selenium server) tell the component manager “I need the ID of the currently visible window which, btw, is labeled as ‘campaign editor'”. This solution is Open Source. In the meantime, if you have any questions, feel free to contact me directly.